With Halloween slowly creeping up on us, we’ve been thinking about some of the scariest, creepiest and most unnerving places to visit in Scotland. In Edinburgh, the Old Town's Greyfriars Kirkyard is the burial place of many figures of the Scottish Enlightenment. 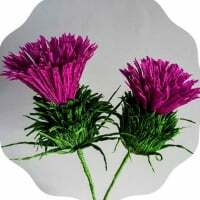 In recent years, many people believe that the spirit of Sir George ‘Bluidy’ Mackenzie has been re-awoken, and they will only approach his tomb with great caution. The Black Mausoleum looms at the back of the Kirkyard, where his body rests. His tormented spirit is rumoured to haunt the graveyard at night, so keep your wits about you if you visit! 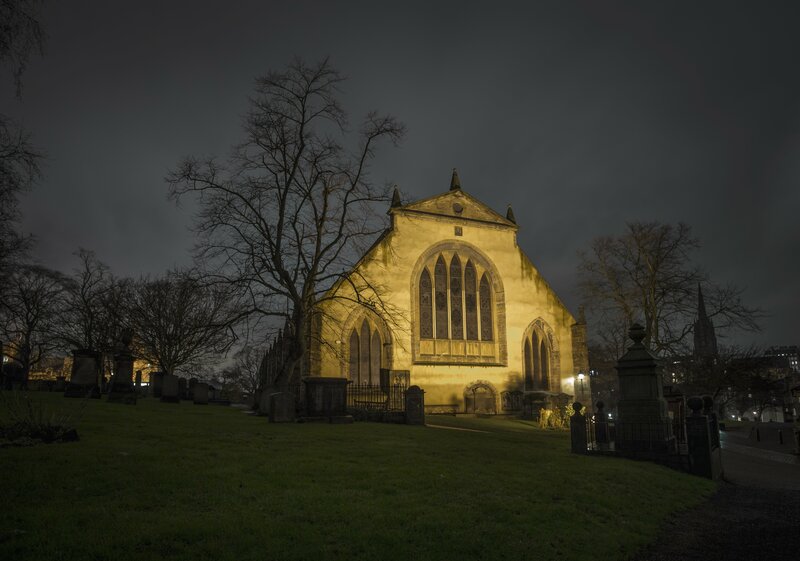 Learn more about the ghost of Greyfriars Kirkyard and more terrifying tales, fascinating mysteries and classic legends from centuries gone by inside our Scottish ghosts, myths and legends eBook. If you dare, that is! Have you been somewhere which has made the hair on the back of your neck stand on end? It could be an old pub, a graveyard, a castle? We want to hear about it! Tell us about your favourite spooky haunts in Scotland. 1)The Tolbooth Museum on Castle Street in Aberdeen is an old 17th Century prison which was used to imprison and punish rebel Jacobites and wrong-doers. The twisting and winding stairs lead to small stone cells where prisoners were kept and punished for their crimes. There's even a 17th century guillotine! EEK! The great thing is that this spooky museum is free to visit all year round! 2) Many of Scotland's castles are rumored to have a resident 'Green Lady' - a friendly ghost that protects the castle and the people that live there. Castle Fraser in Aberdeenshire has one of the spookiest 'Green Lady' stories that I have come across. Walking down the winding stairs in the castle, look out for the mysterious bloodstains that can not be removed from the hard stone floor. Legend states that this is the blood of the princess, who was murdered in the Green Room, and now is the Green Lady of the castle. The ghostly green image has also been spotted gliding through the beautiful castle gardens, but don't be alarmed if you come across her as she's a friendly spirit! 3)The Drovers Inn at Inverarnan (just north of Loch Lomond) is over 300 years old and is haunted by a number of ghosts including an old drover and a ghostly child. The bar is full of character and has retained most of it's original features and on a Saturday night, many people have felt the presence of someone sitting next to them by the roaring fire. Perhaps the ghost was just enjoying the live music and a wee dram on a Saturday night? Who knows? These places have definitely spooked me!! One of my favourite haunted spots is Ruthven Barracks near Kingussie. It was built originally in the early 17th century, and is supposedly haunted by the notorious Wolf of Badenoch (Alexander Stewart, son of King Robert II) who allegedly played chess with the devil there! @VisitScotAnnierose That is a wonderful photo of Greyfriars Kirk. Who is the photographer? Yes, I've heard about the Drovers Inn - sounds really spooky! Crichton Castle is apparently haunted, too. Isn't Glamis Castle reputedly the most haunted castle in Scotland?? @VisitScotlandJulie It's so spooky! The photographer is Kenny Lam. I do love Kenny's photography. I recently realized that the railway bridge in Dundee it seems that is a haunted bridge! The Tay Bridge disaster is one of the most memorable engineering catastrophes in Scotland’s history. On 28 December 1879, just two years after it was opened in Dundee, the bridge was hit by a terrible storm which weakened its central section and caused it to collapse while a passenger train was crossing, killing all on board. It is said that on the anniversary of the disaster a ghostly train can be seen crossing the part of the Tay where the ill-fated bridge would have stood before disappearing at the point of the collapse. What remains of the old bridge’s pillars can still be seen beside the current Tay Bridge. Check out our #HauntedFife posts on Instagram! From tales of Witches burnt at the stake, to visitor friends ghost monks! I'm kind of scared, but we're going to spend 3 days at the Drover's Inn in May. I hope we don't encounter any spirits (other than the drinkable kind)! I'll let you know of any encounters. The jail was built in 1823 on the former site of the 12th century Jedburgh Castle. The castle was demolished by the Scots commanded Sir James Douglas in 1409 to prevent it from falling into the hands of the English. The jail was mostly used as a debtors' prison and it imprisoned men, women and even children. Jedburgh Castle Jail was infamous in Scotland for its terrible conditions and the cruelty it dealt out to its poor prisoners. The jail also had a set of gallows and was often used for executions of criminals. It was finally closed in 1886 but they say that some of the inmates have never really left. With such a dark history, it’s no surprise that the jail is said to be haunted by many ghosts. Paranormal activity such as cell doors banging, eerie whistling and phantom footsteps walking along the corridors have been reported by terrified visitors to the jail. Scared witnesses have also seen the ghostly apparition of a piper standing on the battlements of the jail. If you fancy having a look around the old jail you’ll be please to discover that it’s opened to the public. For those who enjoy being scared out of their wits, it's also a popular venue for organised ghost hunt events.